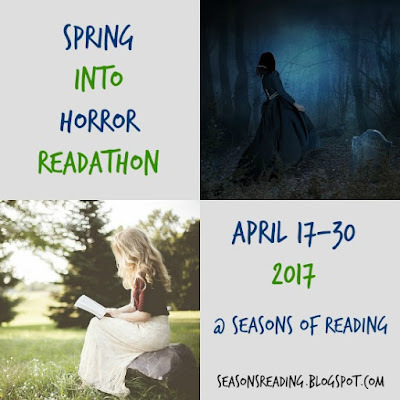 I will always owe the inspiration for this event to Mallory (The Haunted Reading Room)...and so, we're back for our second year! Since Sci-Fi is a very specific genre, this will be strictly reading science fiction during the event. However, since fantasy is so closely related to science fiction, if you feel more comfortable reading fantasy, that is also fine. as usual, you do not have to have a blog to participate...feel free to link up and check in from Goodreads, Facebook, Twitter, etc. These days, it seems most of our activity goes on in our Facebook group which I love. 😍 We have a great community over there...and it's not just during readathons. Everyone should feel free to post in there any time. As with the Christmas Spirit Readathon, I usually do not secure prize donations, but I will be offering a couple of prizes from me. I hope you're as excited as I am that we are continuing this tradition! If you have any questions at all, please feel free to contact me via the contact tab, or hit me up in the Facebook group. I'd like to thank you all for joining me. Be sure to add your wrap-up link below and please double check that your name is listed in the sign up/starting line linky at this post so you will be eligible for the giveaway. You will also need to fill out the form on the prize page if you would like to win a prize. You have until Wednesday, May 3 at 11:59pm CDT to add your wrap-up link and to fill out the form on the prize page. 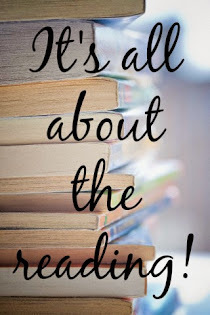 I will draw giveaway winners in the following few days after the wrap-up deadline so keep a look out in your email inbox (or spam folder, just in case) for an email from truebookaddict. Please be sure to note the system of drawing winners in the giveaway details on the prize page). Now let's have a big round of applause for the authors who so generously donated our prizes. Bravo! And thank you! 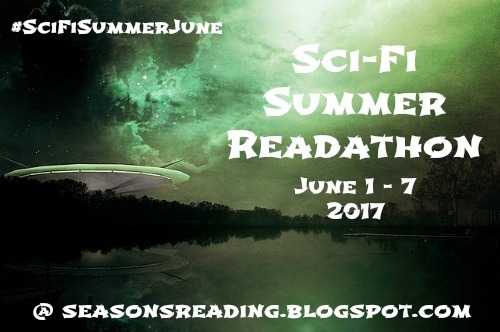 Hope to see you next time at the Sci-Fi Summer Readathon, coming June 1 - 7. The button is all ready to go! What do you think? You can grab the code in the sidebar.